The Bristak beach is a beautiful pebble and concrete beach located at the end of town of Tribunj towards the town of Vodice. Access to the beach is extremely easy, and it can be reached by car, and the parking is nearby. 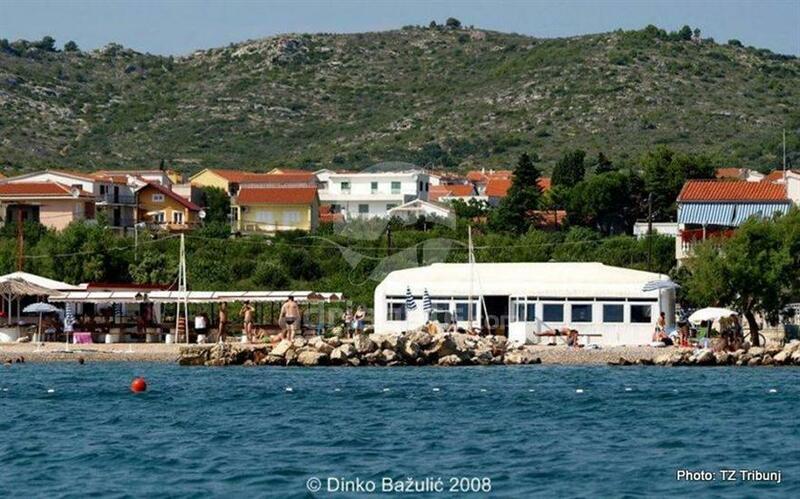 This is the longest beach in Tribunj, and is suitable for families with children and all those looking for a clean sea and enjoying the sun. On the beach of Bristak you can rent deck chairs and parasols for a comfortable stay and a beach break. 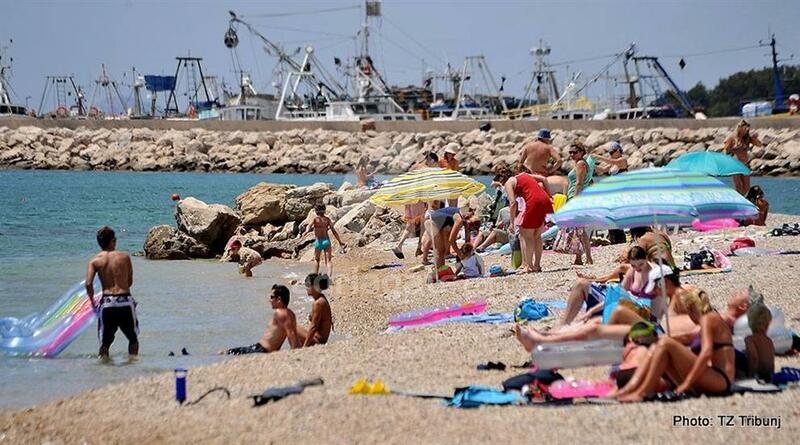 The concrete parts of the beach are suitable for sunbathing, while pebbles are ideal for younger generations. Nearby there is a newly buit playground that will delight the youngest, while the elderly will enjoy the pleasant ambience of the cafe located right next to the playground, with a refreshing drink. If you are hungry during your stay at Bristak beach, you will also find a snack bar where you can eat simple but delicious meals. At the end of this beach there is also a part that is marked as official beach for dogs, so all the pet owners can enjoy the sea and have fun with their pets.